The 3.8 image includes an important firmware/driver update to fix bluetooth lockups on the Raspberry Pi 3. Also included in the 3.8 update are an improved SDL1 dispmanx backend, updates to many of the included emulators, and enhancements to the splashscreen module. 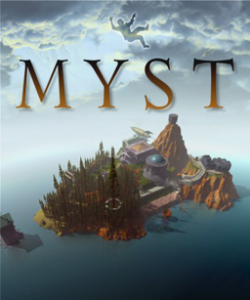 It can be downloaded here: https://retropie.org.uk/download/. Installation Instructions can be found here – https://github.com/RetroPie/RetroPie-Setup/wiki/First-Installation. 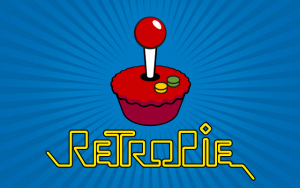 Users of RetroPie-Setup v3.7 can upgrade to the latest version by following the upgrade instructions on the Wiki – https://github.com/RetroPie/RetroPie-Setup/wiki/Updating-RetroPie. If you upgrading an older image and are using the Raspberry Pi 3 onboard Bluetooth, you should go to the Bluetooth configuration from the RetroPie-Setup script, which will make sure you have the raspberrypi-sys-mods package installed which is needed by the Bluetooth driver. If it asks you anything about the /etc/udev/rules.d/99-com.rules configuration file, type Y to overwrite. The Prebuilt images are also available directly from GitHub – https://github.com/RetroPie/RetroPie-Setup/releases/tag/3.8. 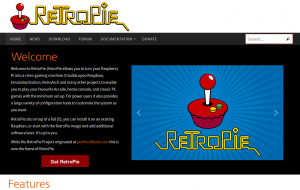 You can also install RetroPie on top of an existing Raspbian set up – Instructions can be found at the GitHub project site. Raspbian package/firmware rollups that fix the lockups with the Raspberry Pi 3 internal bluetooth. New SDL1 dispmanx backend from Vanfanel with triple buffering which should solve some of the performance issues with the previous code. Also some additional changes are included so you can adjust the aspect ratio with env variable SDL_DISPMANX_RATIO (eg 1.33 for 4:3). The aspect ratio will be ignored if SDL_DISPMANX_IGNORE_RATIO is set and SDL1 apps will display full screen. Vice is now set to use 4:3 ratio on the Raspberry Pi. Reicast (Dreamcast emulator), now supports multiplayer. lr-pcsx-rearmed (PlayStation emulator) now supports 3-8 players. Updated Raspberry Pi binaries for lr-fba-next, uae4arm, mupen64plus, Reicast, lr-picodrive, lr-nestopia, lr-pcsx-rearmed, lr-mgba, lr-genesis-plus-gx, lr-mame2003, and lr-fceum. Added new videocore mupen64plus video plugin. Improvements to Apple2 (supports automount now). Improvements to the splashscreen module (added previewer, randomiser, and no longer requires a folder to be created in the splashscreen directory). Various other bugfixes and minor improvements.